I want to be encouraging and see the best so when I encountered a season of sorrow during my time in seminary I was in an unfamiliar place. As I was honest with myself, Debbie, and God I entered a place to experience real comfort. Some sorrow lasts longer. Such as the grief from the loss of a child or marriage. However, a new season of healing and comfort can come when we address it. God doesn’t want us to be burdened with excessive sorrow (2 Cor. 2:7). Sorrow must have its season yet there is a time to find relief and move from it. Relief and healing come as we move in a straight path (Heb. 12:12-13). This passage reveals healing comes from good choices and good relationships. I’ve experienced betrayal from people I cared for. To lose these important relationships left me skeptical about trusting again. 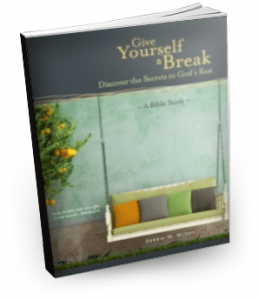 After absorbing the sadness and understanding the losses, God gave me some time to regroup. Then He led me into new relationships and new callings for my life. I can still have painful memories, but I’ve been freed from the sorrow of the past. If we can help you with your season of sorrow, we would like to. You are important to God and us. Teenagers from broken homes are learning to walk with God. Marriages are becoming closer spiritually and emotionally. Please pray for our physical and spiritual strength. For free weekly encouragement subscribe to our blog. Beautifully said. 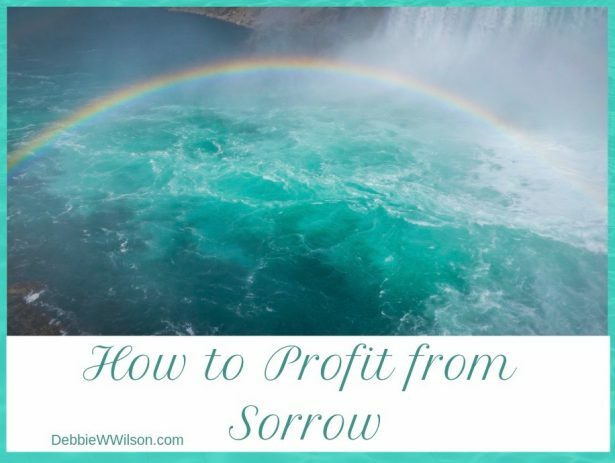 Sorrow comes to all of us at some time – so this is important to understand. Ann, you’re right. Sorrow visits us all and to know how to work with God in using it for good is helpful. Thanks so much. What you said about still having painful memories but being freed from the sorrow of the past is helpful. It is so hard to trust again after being betrayed. I am learning that my expectations were to my detriment as my whole life as I saw it has disappeared. Now to find that quiet, still place full of love in the midst of the sorrow is so difficult. I know God will lead me to it but it is so hard and I am grateful for columns like yours which I read often. Rose, betrayal cuts deep. But God wants to bring beauty from the ashes of being burned. 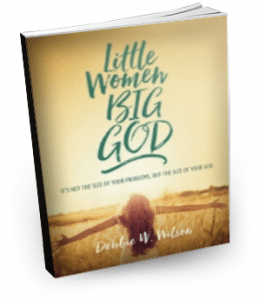 My book Little Women, Big God has three chapters dedicated to Bathsheba dealing with overcoming betrayal. Blessings to you. I just completed Stephen Ministry training. One of the important things we learned is that sorrow affects people in different ways. Grief is different for everyone. I am thankful to know God and His love. That knowledge helps me minister to others. Melissa, that is so true. We need to alllow people to grieve differently from us. This topic came at a perfect time for me. My husband had passed away 10 years ago. But it still feels like yesterday to me. I am stuck somewhere in the grieving process. The sorrow is with me alot of the time. Talking about him, makes me cry. How can I move along? Brenda, grief is complicated. Everyone’s journey is different. Norm Wright and Yvonne Ortega have writen material on grief you may find helpful. Yvonne also leads small grief retreats. https://yvonneortega.com. It may help to speak with a grief counselor. Journal your grief and claim your future and hope. Stand on God’s promise to never leave or forsake you. Oh so true, Debbie! No one escapes sorrow in their life. We all must deal with it one way or another. Accepting it and addressing it are the pathways to conquering our sorrow! Beautiful post! Thank you, Laurie. You’re right. We can’t escape sorrow. Knowing how to deal with it is an important life skill. This could not have come at a better time for me being I lost my mom in March. I have been through a lot of losses, but nothing like this. Even though I did the best I could in helping her as much as I could, my heart is just absolutely broken and crushed. I know she is with Jesus, but there are times I just can’t stop crying; not crying for her, but for myself because I miss talking with her. I would call her 2-3 times a week and more because she had Parkinson’s and other issues and the nurse in me would come out to check on her often; I would talk with her or go to see her. I realize no one can take this away and only Christ can heal so I guess I am asking for prayer and that I will grasp God’s words and promises and hold tight to those in order to be able to move forward. Carolyn, I’m so sorry for your loss. Your grief is fresh. May you experience the comfort only God can give. I know you will as You look to Him. But grief is very hard.